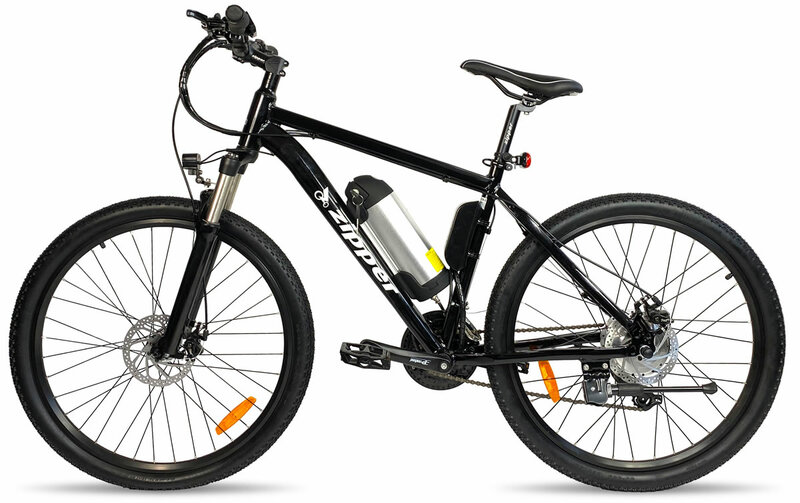 With the Z6 eBike you get the best of both worlds. 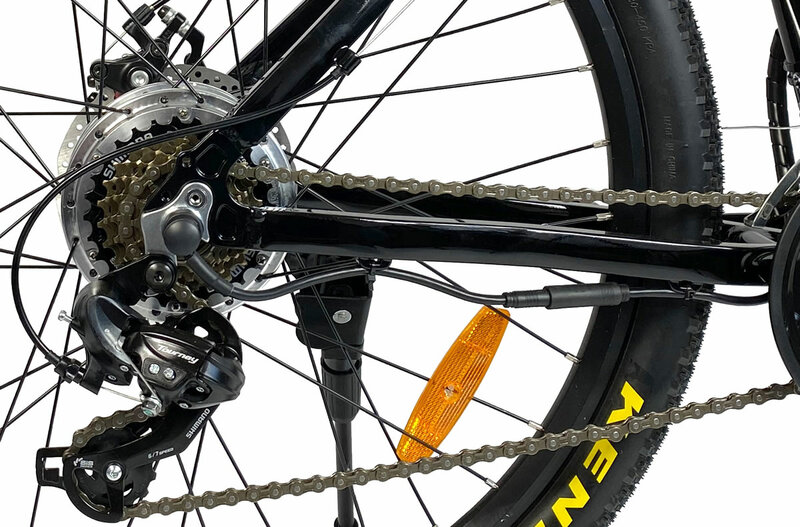 A fully capable mountain bike with Shimano 21 speed gearbox, large 26 inch wheels and off road adjustable suspension, plus a convenient electric bike for commuting and general transport that looks fantastic. During the week take advantage of the electric power system to nip around at a fraction of the cost of a car or motorbike and then at the weekend hit the trail for some off road fun. The bicycle is available in white or black. The Li-Po battery is nicely disguised as a drinks flask and securely attached to the aluminium frame. 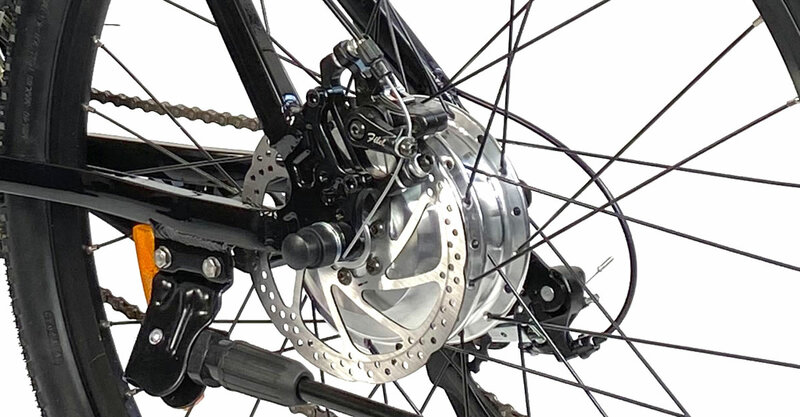 The brushless motor has plenty of power and will push the bike to the UK maximum legal speed of 25KM/H making it totally road legal. 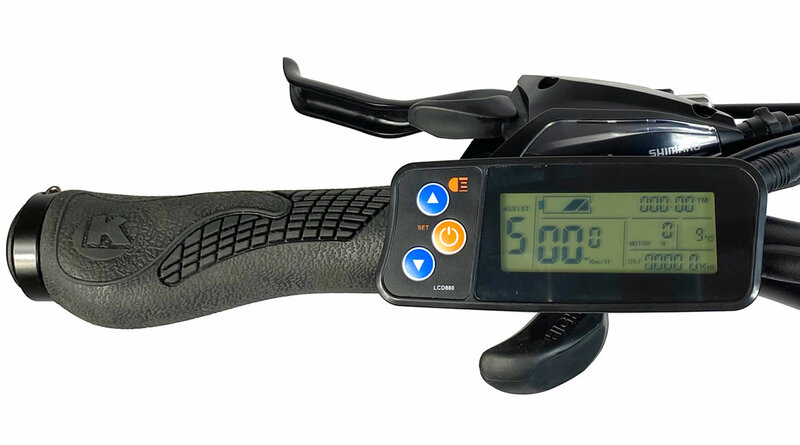 Just select how much help you want from the electric system using the easy selector, start pedaling and the motor will assist. Please note with this new version the maximum speed the bike will go without moving the pedals forward is 6km/h. can the electric motor be used when the bike is off road to assist the rider who will be in any off road conditions be generally knackered? Hello - thank you for your question. Yes the motor can be used to assist the rider when riding the bike. what is the frame size? 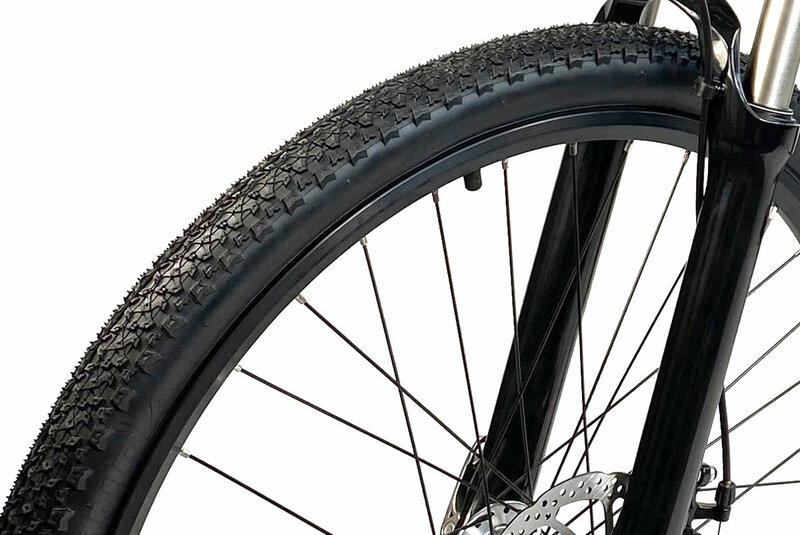 can a drinks bottle be mounted on the bike frame? Hello - thank you for your question. 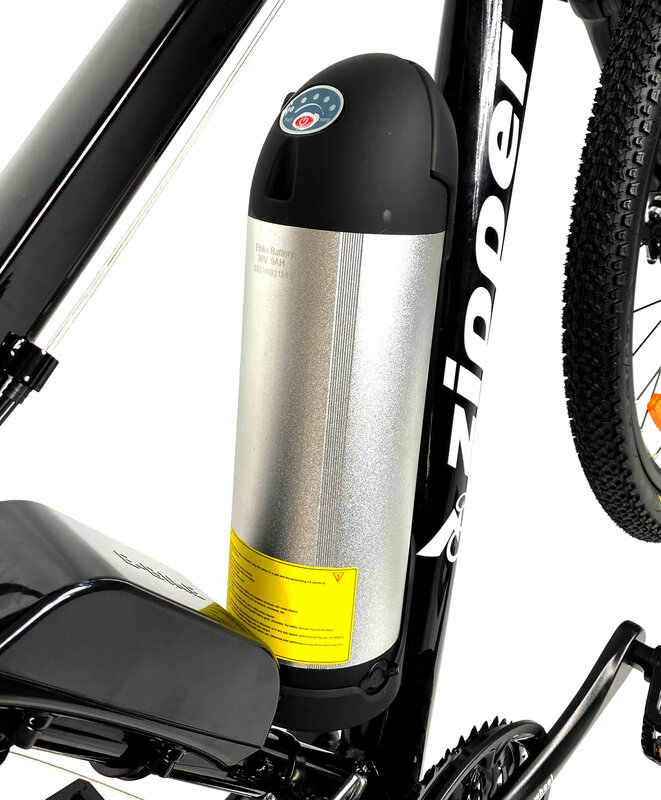 Due to the style of the bike, the battery is mounted where a drinks bottle would normally be mounted therefore it may be difficult to mount a bottle in this area. What warranty is with these bicycles. Hello - thank you for your question. The warranty on these bikes is a 6 months parts warranty. Hello - thank you for your question. Unfortunately the maximum weight for this bike is 120kg (approx 18 stone). My apologies for the inconvenience. Apart from the price, can you tell me how this bike differs from say more expensive Raleigh bikes I've seen for as much as £4100? I am really interested in buying this type of bike, I am almost 70 years old and haven't ridden a bike for some years but my granddaughters are requesting that I accompany them on bike rides and I wonder if this bike would be suitable. Hello - Thank you for your question. 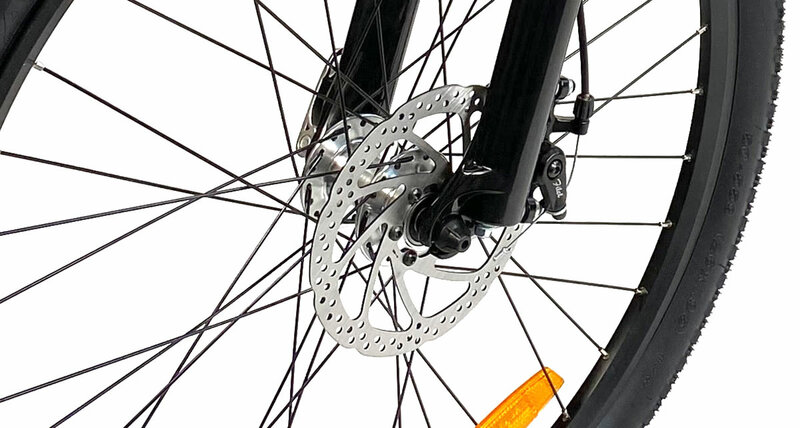 Unfortunately I do not have much knowledge for the Raleigh bike as that is not something we specialize in, however the Zipper bikes are very reliable, and come with many features which could benefit you. Some of them include; a spring loaded seat for comfort, a quick release front wheel to maximize space during transit, the 250w motor, as well as many more handy add ons. 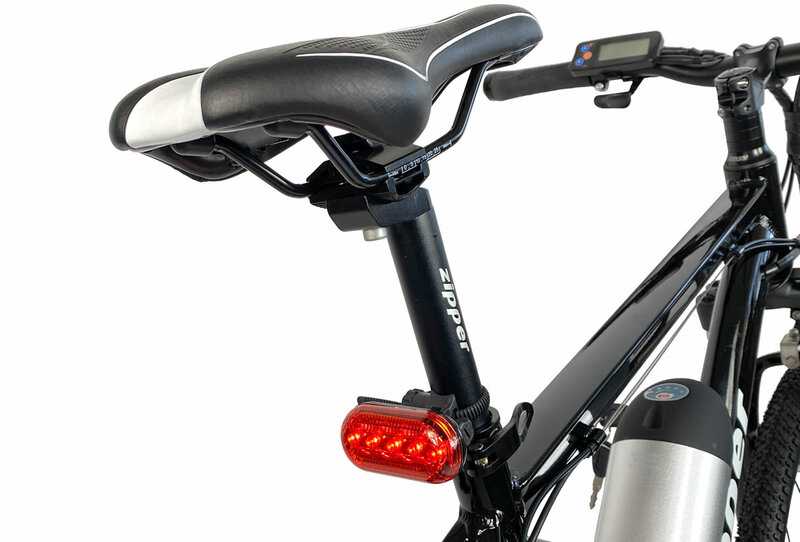 If you would like to have a look at the full spec list please follow this link: https://www.scootercity.co.uk/electric-bikes/z6-21-speed-ultimate-edition-electric-mountain-bike-26-black.html I hope this helps you! Hello - Thank you for your question. Yes 6ft will be fine for this bike. I hope this helps! Hello - Thank you for your question. Yes it does come with a charger. Is this bicycle a unisex bicycle? 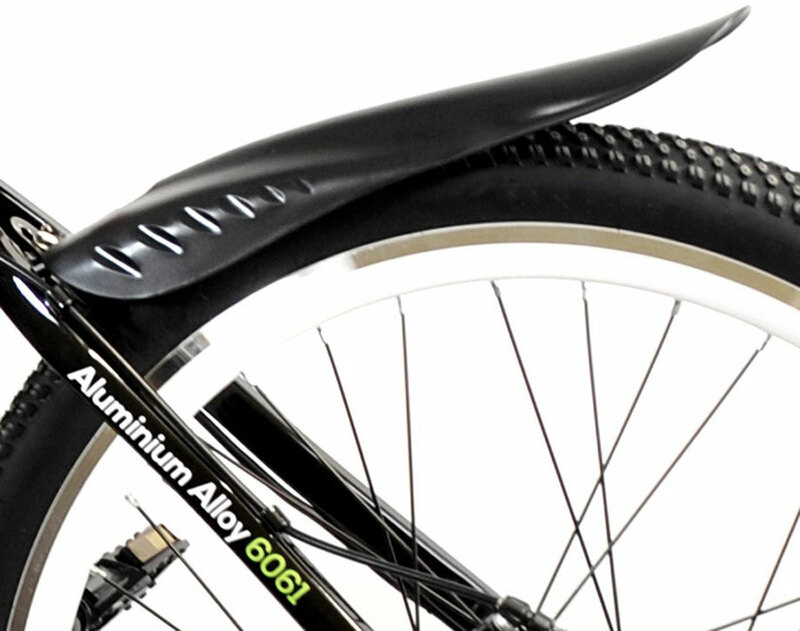 This is a unisex bicycle? What is approx distance of battery ? 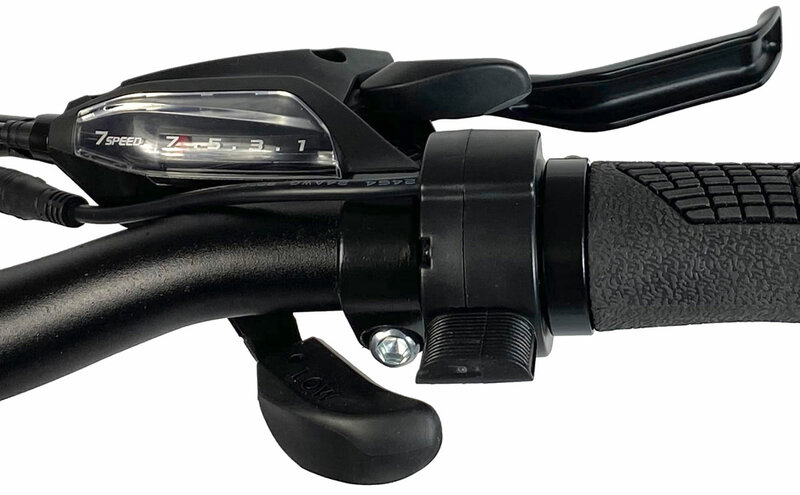 Can you use the throttle with out pedalling? Thank you for your question. You can use the throttle without pedalling.